Aviation-photos.nl - 50 Years Jagdgeschwader 71 "Richthofen"
50 Years Jagdgeschwader 71 "Richthofen"
Jagdgeschwader 71 "Richthofen" celebrated their 50th anniversary in 2009. Part of the festivities was a spotters day which was held on the 5th of June. More then 850 people (from Belgium, the Czech republic, Denmark, France, Germany, Hungary, Italy, the Netherlands, Spain and the United Kingdom) registrated themselves for this event. It turned out to be a successful event with a variety of aircraft from several countries. Compliments must be made to Luftwaffe, the Commander of Wittmund and all other people that were involved, for their efforts! 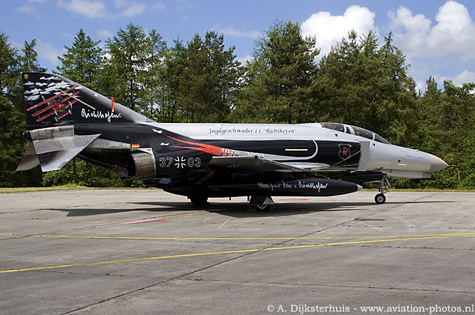 The most photographed aircraft of the day was the F-4F, serialled 37+03, with the special livery celebrating the 50th anniversary of Jagdgeschwader 71 "Richthofen". The F-4F is seen above from both sides. A regular example of the F-4F, with serial 38+48, is seen here. Many other Phantoms could be seen on the runway in a nice line-up, together with some other aircraft. 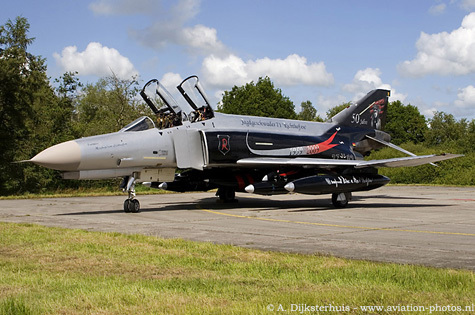 This articular example participated in Maple Flag and just returned at Wittmund. Note the 'art' on the splitter plate. One of the surprises was this Italian Air Force AMX with serial MM7147 and code 32-01. It is seen here while still wearing a special livery that was applied in late 2006. A two-seater AMX-T joined this AMX for the trip to Wittmund and was on display as well. Both aircraft are assigned to 32 Stormo which is based at Amendola, Italy. 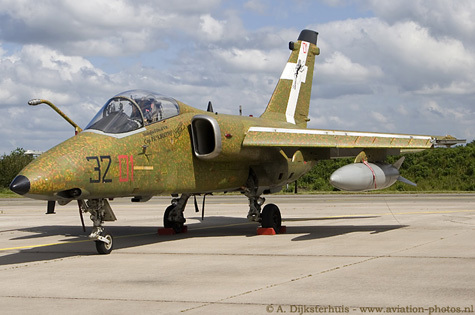 The Hungarian Air Force participated with two aircraft. The Mig-29UB with serial 27 is seen here. 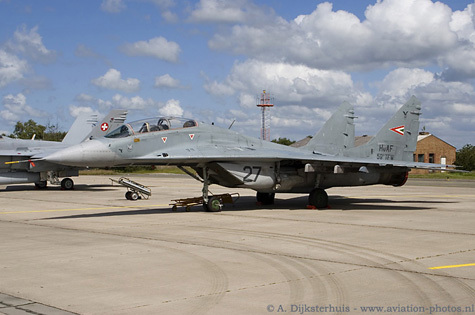 The Mig-29UB is operated by the 59th Tactical Fighter Wing which is based at Kecskemét, Hungary. Support for the Mig-29UB arrived with this Antonov 26 with serial 603, the Antonov is seen here from outside the base, while being parked on the runway for the static display. It is also strange to see aircraft parking on the runway for static display when you consider that Wittmund has only one runway and therefore is closed for other traffic. 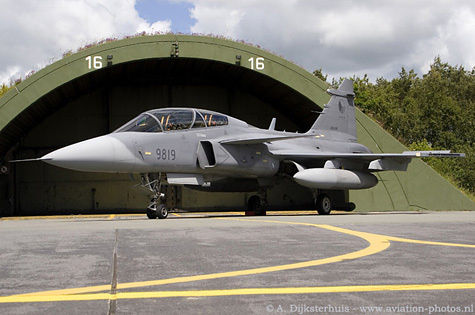 The Czech air Force replaced its Mig-21 fleet with 14 Gripen fighters in 2005, including two JAS-39D two-seaters. 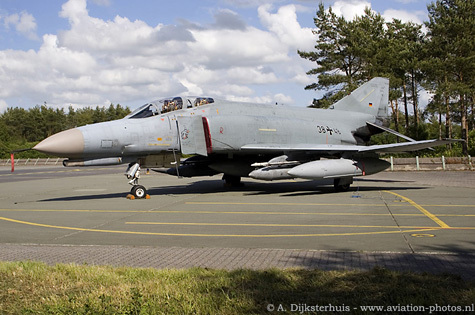 One of the two duals, with serial 9819, is seen here nicely parked in front of one of shelter 16 at Wittmund. All the Gripens are based at Casláv air base. 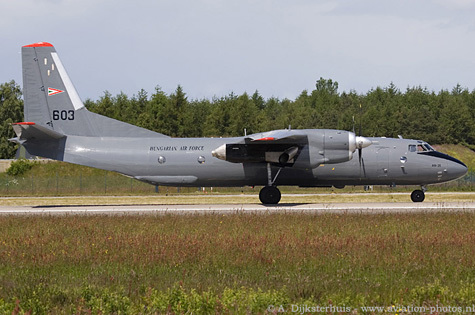 The last remaining BR.1150 SIGINT Atlantik in flyable condition is seen here during the arrival earlier in the morning. Because of the fact that this is the last flying Atlantik, some special markings were applied on the tail of the 61+03. 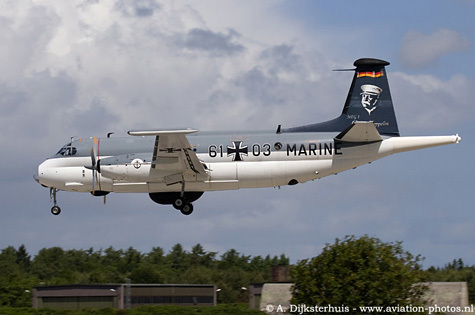 The Orions replaced the regular version of this type of aircraft in the inventory of the Marine. The SIGINT version as seen here might be replaced in the future by the Euro Hawk. In 2003 a Block 10 Global Hawk arrived from Edwards Air Base California at Nordholz, Germany to demonstrate the capabilities. In January 2007, a $559 million contract was awarded for the development, test and support of the Euro Hawk. 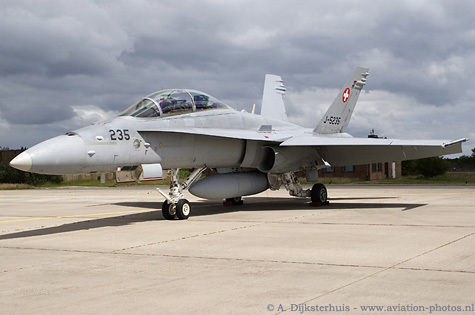 The Swiss Air Force participated with one of their F/A-18D Hornets. F/A-18D with serial J-5235 is seen here with dark clouds in the background. 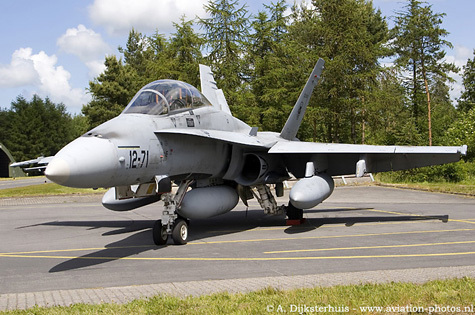 Another Hornet at Wittmund was this Spanish Air Force EF-18B, with serial CE.15-05/12-71. This Hornet is operated by Ala 12 which is based at Torrejón, Spain. The single seaters of the Spanish Hornets are often seen outside the Spanish borders, but the two-seater version is not, which made this a welcome participant at Wittmund.